For the Story Works Youth Team, the traditions at the root of their innovation are telling, listening to, and learning from stories. For the past two years, the Story Works Youth Team (all past participants in Story Works Alaska‘s true, first-person, English class-based story workshops) have met outside of school, written grants to support several of their projects, and worked to share the stories of their peers with a wider audience. They call themselves SAYiT and they are a powerful and productive group of young leaders. Above: SAYiT members Destiny, Maeve, and Olive after leading a session for educators at the DeeperLearning2018 conference. Below: A short video about SAYiT’s most recent event, ExtraCredit2018. Both (sold out!) 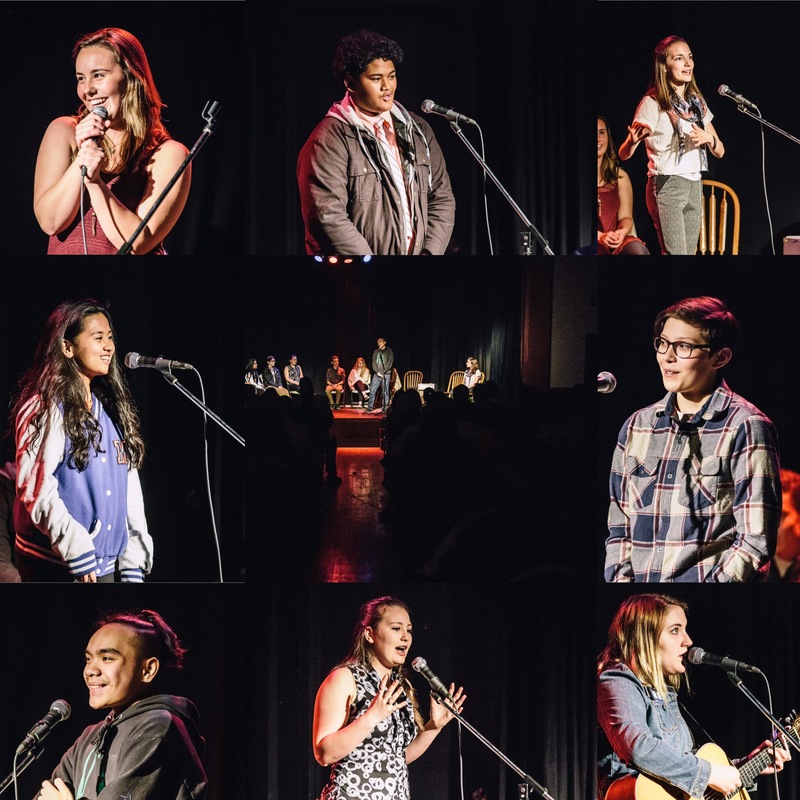 events have featured high school students sharing stories from across Anchorage. At DeeperLearning2018, in a session attended by English teachers and principals from across the U.S., the student presenters from SAYiT shared their stories, their learning, and the work and stories of their peers. Sidenote: If you love stories and want to listen, we highly recommend that you take a short detour here to listen to some of those stories. Check out this one, about middle school social fears and the power of high fives or this one, about 5th grade crushes and rejection. The students also introduced their audience to Story Works’ youth and educator-developed materials for supporting classroom-based true, first-person storytelling workshops. And yes, they even had the teachers engaging in writing exercises and sharing mini-stories with each other. The impact of the opportunity created by this mini-grant continues to be felt. 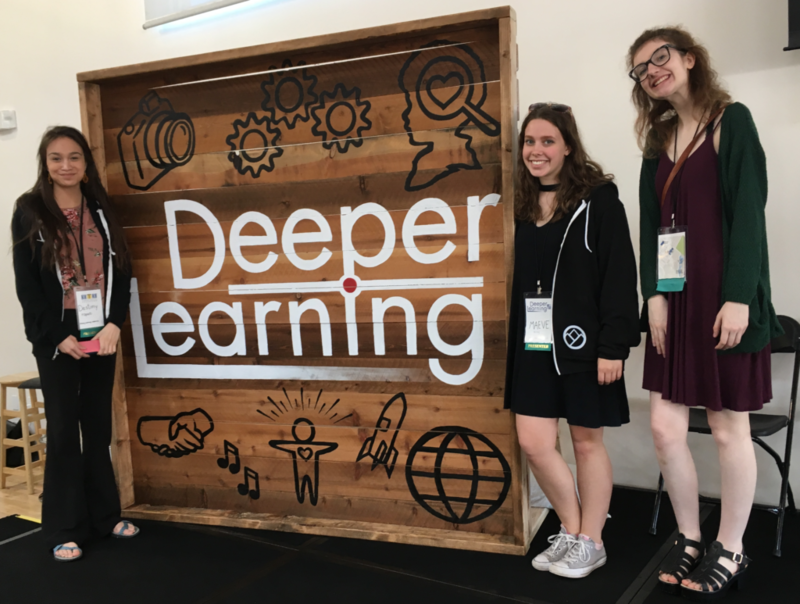 Since the students’ presentation at DeeperLearning2018, all of SAYiT has benefitted from the presenters’ experience and has been working hard (yes, even over the summer, even during fishing and blueberry season!) to make Story Works’ resources and methods more youth-led. Stay tuned for more amazing work coming from SAYiT. Like an animated story arc. Really. And a lovely video invitation to share stories—from students to students and designed to be played in high school Engish classrooms. For updates and access to resources, you are heartily invited to follow Story Works (and SAYiT) on Instagram, Twitter, and/or Facebook @storyworksak. Or visit storyworksak.org. Thank you to all readers who’ve made it this far. And please be in touch (at storyworkskak.org) with any questions. 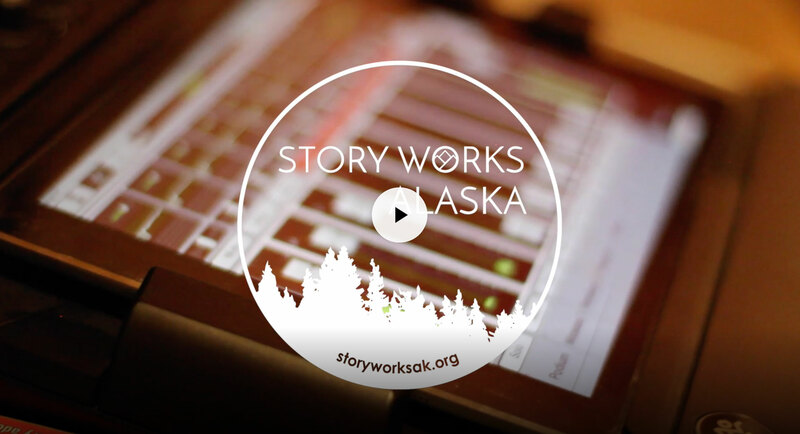 Story Works Alaska is a small, community-supported nonprofit in Anchorage, Alaska. We partner with high school teachers to support true, first-person storytelling workshops in school, during English/Language Arts class. Learn more, find out how to support youth voices in your community, and get involved at storyworksak.org. Thank you, from all of us at Story Works Alaska, to the National Writing Project, EducatorInnovator, the MacArthur Foundation, and John Legend’s ShowMe Campaign for supporting this work and other projects that allow students to engage in connected learning!